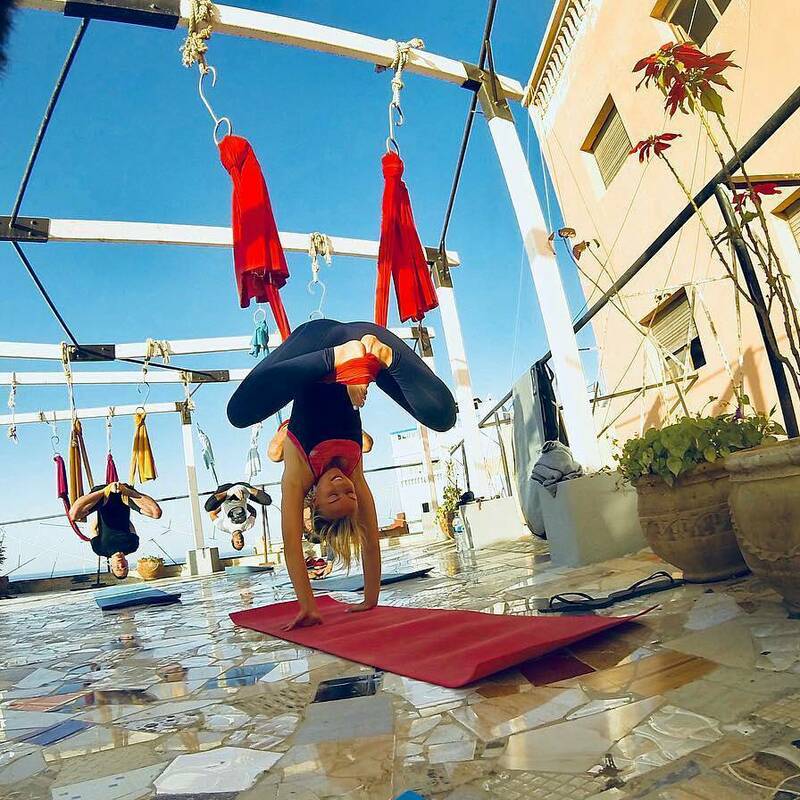 Established a little over a decade ago in the center of Taghazout, our surf camp has served thousands of people from all over the world of all ages and from all walks of life, from students, to doctors, to pro surfers and celebrities. Offering a 180 degree panoramic view from our rooftop terrace of Taghazout Bay, our surf house has room for more than 40 people, in dorm rooms, twin and double rooms, as well as private suites. 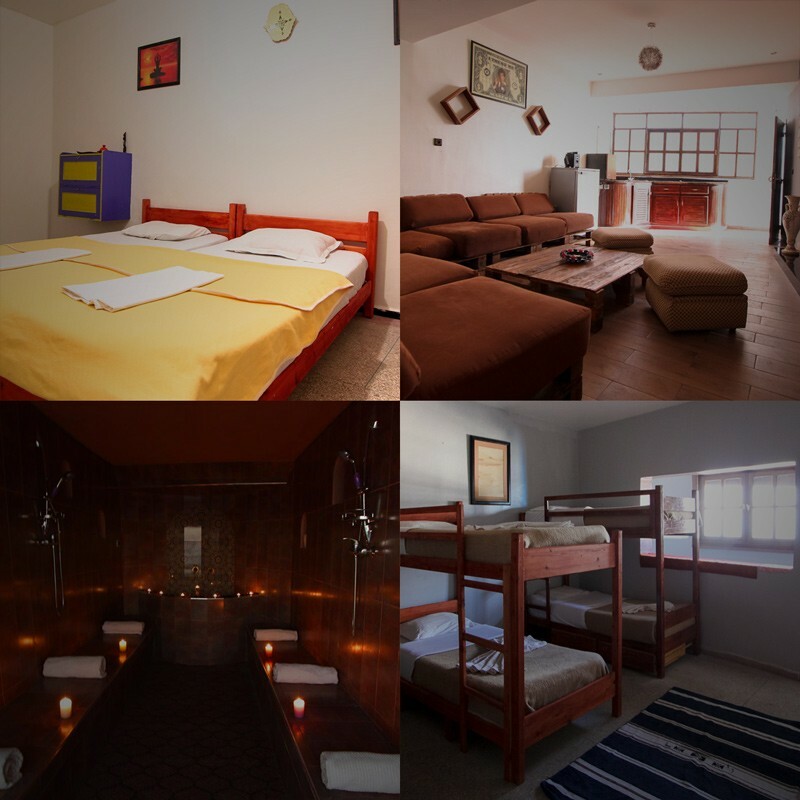 We are one of the few hostels/hotels approved by the tourism board of the ministry of tourism, and certified by the fire brigade of Agadir province. 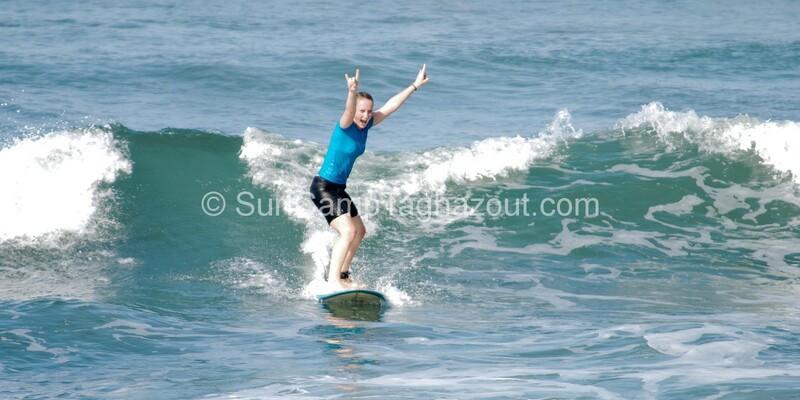 With years of experience in giving surf lessons and coaching, most of our surf instructors are ISA (International Surfing Association) certified, can speak many languages and are from all over the world! We are also affiliated to the Moroccan Surf & Body Board Federation. We absolutely love to see the smiles of our guests when they catch their first waves or when they enjoy the food made by our chefs on our rooftop terrace lounge. Below are some reviews from past guests, some of which are returning every year! Had an awesome experience. atmosphere and beach were unforgettable. We have surf packages that will be ideal for most people, but also accommodation only options for others. Can’t do a set week trip? why not create your own personalized surf trip? We are flexible on arrival days, how much surfing you do with us and whether you want to eat with us for the surf camp meals.So if you fancy a long weekend, or even surfing with us for a month, you can build your own perfect surf holiday.